North Texas State University (now University of North Texas-UNT), Denton, Texas, B.A. Business Administration, 1964. 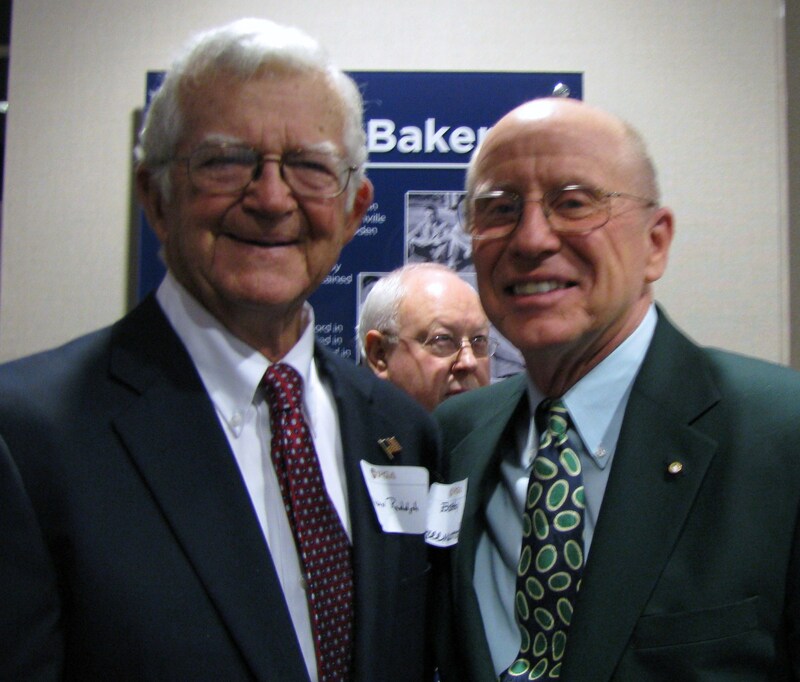 Athletic Hall of Fame, Inductee, University of North Texas, Denton, Texas, 2002. Golf Course Architect ~ Bobby Greenwood & Associates, Inc.
President, Greenwood-Clifton Golf Design Group, Deltona, Florida. Design Coordinator ~ Golden Bear International (Nicklaus Design), North Palm Beach, Florida & New Augusta Golf Club, Ena Japan. Golf Architect ~ The Fairways on Spencer Creek Golf Club, Franklin, Tennessee. Director of Golf Operations ~ Suntree Country Club, One Country Club Drive, Melbourne, Florida. (36-hole resort with 1,650 members; and Home of Senior PGA Tour event). President ~ Greenwood, Frazee & Associates, Brentwood, TN. (Golf Course Design & Planning Services). Editor-In-Chief & Founder of Tennessee’s First Golf Publication (1/3 ownership). Golf School Coordinator ~ Master’s School of Golf. (Partnership with Dave Ragan & Jack Wall). Golf Director ~ Benchcraft Golf Co., 1921 Church Street, Nashville, Tennessee. (Golf schools, clinics and exhibitions). Golf Course Architect ~ Greenwood, Tucker & Associates (Designed and supervised construction of Dorchester Golf Course – Permanent Home of TN Open for 8 years). (Home of Tournament Players Championship). Contract Consultant ~ Planned Recreation Consultants, Inc., Jacksonville, Florida. NCAA All-America ~ First Team, 1963. NCAA All-America ~ Second Team, 1962. NCAA All-America ~ Honorable Mention, 1961. Co-Medalist USGA Amateur, 1964. Canterbury Country Club, Cleveland, Ohio. Qualified & played in Four USGA Amateurs. Qualified and played in Two U.S. Opens. Texas Cup Team (Ten member team), 1964. Defeated Byron Nelson in single match. Tennessee Cup Team, 1968, 1976, 1991, 1992, 1993, 1994, 1999, 2000. Top 10 Amateurs in U.S. by Golf Magazine, Twice. Ranked 6th and 8th respectively. Top 10 Amateurs in U.S. by Golf Digest, 1968. Ranked 7th. His ranked is based on a victory in the Sunnehanna as well as theTennessee State Open & his finished third in the Southern Amateur. Sunnehanna Amateur ~ Tournament of Champions, 1965, 1968. Johnstown, Pennsylvania (Tournament record of 269 set in 1965 and current course record of 63 set in second round in 1965). Rhode Island Open Champion, 1970. “Champions’ Choice” ~ PGA Tour Rookie, 1969.
chosen to play in the Colonial Invitational (NIT) voted by past champions. Attended 1969 PGA Tour Qualifying School, 1969. Palm Beach Gardens, Florida. (Tied Johnny Miller for 3rd). PGA Tour Player for 7 years, 1969-1975. Tournament Players Division – PGA Tour, 1972-1975. Winner of over 150 Amateur and Pro Tournaments in playing career. PGA Member – Class A, 1971. Tennessee Senior PGA Champion, 1991, 1992, 1994. Tennessee PGA Section Championship, 1999. Tri-Cities Fall Pro-Am, Senior Champion (75-70=145) Bristol, Virginia. Course Record: Southern Amateur Championship, 1968. North Palm Beach, Florida (Jack Nicklaus Home Course). Upper Cumberland FCA Advisory Board Member, 2006. Head Golf Clinician, FCA Camp, Sawgrass CC, Ponte Vedra Beach, FL, 2005.
International Golf Professional Association ~ Vice-President (1991-1992). Boy Scouts of America (Eagle Scout-1954, God & Country Award, Silver Award, Arrow Head Award, Commissioner Award and Order of the Arrow Award). Lettermen Association, UNT – Member, Denton, Texas. Fellowship of Christian Golfers (Co-Founder & Director). Optimists Club (VP & Board of Directors). Gideons International ~Vice-President, Cookeville, Tennessee (2002-2004). First United Methodist Church, Men’s Brotherhood ~ President,(2005-Present). Vice-President (2004-2005). First United Methodist Church, Backslider Class ~ President (2006-Present). Vice- President (2005-2006). First United Methodist Church Council ~ Member (2005-Present). National Eagle Scout Association (Executive Committee Member). Mason, Grand Lodge Free & Accepted Masons Of Tennessee.Shriner, Nobles of the Mystic Shrine in Al Menah Temple of Nashville, Tennessee. PGA Tour Player ~ seven years. Eden, North Carolina, through busy season and hired the new pro for the club.Principal-In-Charge ~ Designed and supervised construction of second 18-hole golf course for Fairfield Glade, Inc. ~ Dorchester Country Club (Home of Tennessee Open). Golf Architect ~ Designed and supervised construction of Fairways on Spencer Creek Golf Club, Franklin, Tennessee, 1994-1996. Design Coordinator ~ for Jack Nicklaus in Japan, 1996-1997. Golden Bear International, North Palm Beach, Florida & New Augusta Golf Club, Ena, Japan. Upon arrival at Sawgrass Country Club in 1977, Bobby Greenwood instituted systems and reforms which resulted in an increase in revenue of $71,000.00 from merchandise sales in the pro shop. In addition, his responsibilities included that of being Host Professional for the first and second Tournament Players Championship held at Sawgrass. This included many diverse activities including PGA Tour and media responsibilities. Golf with Dave Ragan and Jack Wall. 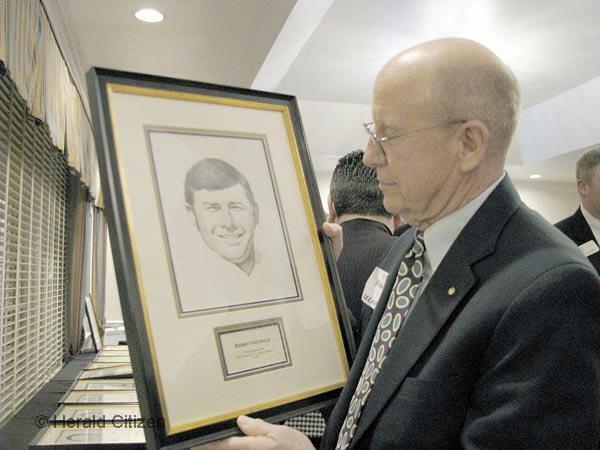 In 1987, Greenwood co-founded Tennessee’s first Golf Publication where he served as Editor-In-Chief. He was one-third owner of this newspaper. In 1989, Greenwood was contacted by Suntree Country Club requesting that he supervise their entire golf operations through their busy winter season because of the sudden illness of their Director of Golf. Suntree is a 36-hole complex with 1,650 members and home of the oldest tournament on the Senior PGA Tour. While in Florida, he established Bobby Greenwood & Associates, Inc. and formed an association with the Clifton, Ezell & Clifton Golf Course Design Group located in Deltona, Florida. 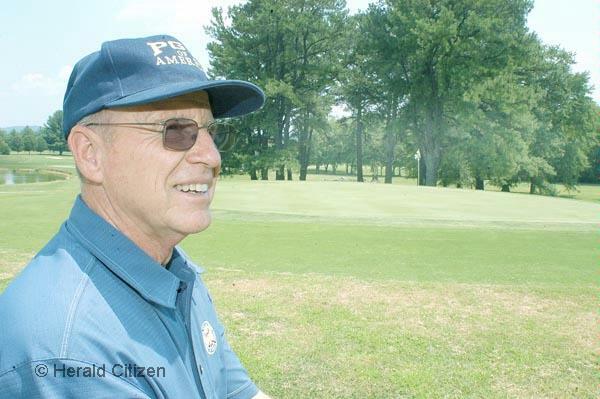 In 1994, Greenwood designed and supervised the construction of The Fairways on Spencer Creek Golf Club in Franklin, Tennessee. In 1997, he was Design Coordinator for Golden Bear International. Greenwood worked for Jack Nicklaus in their main offices in North Palm Beach, Florida and finally went to Ena, Japan to supervise the construction of New Augusta Golf Club, the most expensive course ever built by Golden Bear at a cost of twenty-two million U.S. dollars. Back in the ol’ U.S., Greenwood continued golf course design and playing golf once again as a Super Senior!